Mobile Gaming: Are We Casual Enough Yet? With the rise of mobile gaming we are seeing a shift from Triple-A companies back to small groups or single developers making games. Designing for the casual market is harder than you may think. In this webcast talk by Jesse Freeman, author of Building HTML5 Games with ImpactJS, he will go over how he has been redesigning his own game ideas for the new casual gamer market. Jesse will go through some of the most popular casual games on Windows 8 which are helping redefine the meaning of PC gaming including my own games. Plus, Jesse will go over tips for how to simplify your own games for kids without dumbing them down for the average user. Finally, we will leave plenty of time to cover questions and answers about designing for casual gaming as well as what it takes to make a successful game for Windows 8 or any platform. 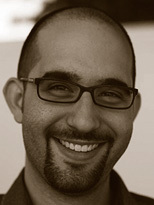 My name is Jesse Freeman and I am a Technology Evangelist at Microsoft focusing on Windows 8 and HTML5 Gaming. My job is to help developers build amazing apps and games for Windows 8. I have been a Web developer for over 13 years as well as a mobile app developer for the better part of the last 4 years. While living in New York have worked with some of the city's top companies such as MLB, the New York Jets, HBO, Tommy Hilfiger, Bloomberg and even internationally for clients such as VW. I have always used my passion for making games to help me learn new programming languages and this passion is one thing I hope to help share with others.